Can there be any truth to these heady claims, or is it another case of the media committing that most egregious of sins: distorting science for the sake of a catchy headline? Here we plunge into the literature and investigate what has actually been shown experimentally. And right off the bat, no, the Alzheimer’s has never been studied in relation to juggling. The study that set off this whole chain reaction of neuro-juggling interest was a 2004 Nature paper by a German group. The researchers scanned 24 young people’s brains using MRI (which I’ve described previously), and half the participants were then given three months to learn to juggle the three-ball cascade. Everyone was scanned again, then juggling was prohibited for three months until a final scan was taken. If you’re sciencey, the specific regions were the bilateral mid-temporal hMT/V5 areas and the left posterior intraparietal sulcus. The heat map indicates Z scores, i.e. the changes were very statistically significant, and tightly restricted to hMT/V5 and the left posterior intraparietal sulcus. Figure d) shows that the increase in grey matter after three months of juggling was ~3%. About half of this was lost after three months without practice. Interestingly, the altered regions are associated with visual processing, not motor control as might be expected. Possibly this is because humans are naturally perfectly adept at operating their limbs, but less so at tracking multiple rapidly moving objects. The authors also stressed that it’s unknown whether the changes in grey matter correspond to increased cell/synapse volume or new cell growth (though some evidence suggests synapse volume is mostly responsible). In a subsequent study the same group found that the original period of learning to juggle involves a grey matter increase, but once training is stopped the brain slowly returns to more or less its original shape – even in people who retain the ability to juggle. Any physical changes that do persist are subtle and don’t change the net size-weight of the brain. Returning to our earlier media claims, what does this research tell us about juggling’s effect on brain power? Rather little. All it shows is that when you learn to juggle, there is a corresponding structural change in the brain. It’s not necessarily useful for anything other than juggling, and maybe learning any new skill causes a structural change. How about brain size? No, it doesn’t increase. Is the change permanent? No, 50% of grey matter gain is lost after three months without practice. Similarly, many participants forgot how to juggle in this time. If anything, the evidence we’re left with points to the old maxim: use it or lose. Maybe you can forget how to ride a bike after all. While grey matter increases with juggling practice, sadly it also decreases with age. To see whether the same neural flexibility exists in older individuals, the German researchers repeated their procedure in people aged around 60. This cohort fared much worse than the youngins at learning to juggle, with only a quarter becoming fluent in the cascade. However, amongst those who did succeed the degree of grey matter increase was similar to that seen in the original study. Interestingly, the older group also saw increases in grey matter density in the left hippocampus and nucleus accumbens. The hippocampus is known to be one of the very few brain regions to give birth to new neurons, generally in response to exercise or environmental stimulus. Juggling arguably ticks both these criteria. As for the nucleus accumbens, this is involved in sense of reward, and mastering a new skill is certainly rewarding. The nucleus accumbens links the limbic and motor systems, converting reward signals into motivation to act – perhaps in this case, to keep juggling. 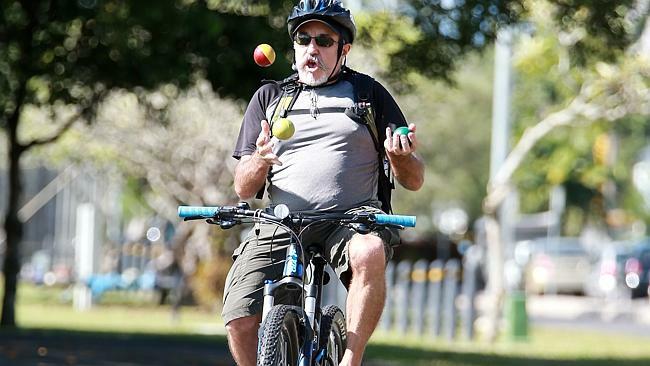 These all suggests that practising a complex new skill such as juggling can be just as beneficial for older individuals as younger ones, if not more so. Whatever your age though, neglect your practice and any changes seem to soon disappear. If grey matter is the brain’s computing infrastructure, white matter is the fibre optic cables (myelinated neural axons) that link everything up and determine how quickly communications happen. In the case of juggling, grey matter might help your hands get into just the right place, but white matter controls how quickly they can get there (more or less). In 2009, a group of researchers from the UK published a paper in Nature Neuroscience demonstrating for the first time that training a physical skill, juggling, can increase not only grey matter but also white matter, in this case by about 6% in a region called the right posterior intraparietal sulcus. Fittingly, this structure is involved in arm movement, grasping and tracking in peripheral vision, and is important for planning and executing complex movements. The UK group also observed grey matter changes in regions matching those found by the German group, adjacent to where the white matter increases were. Unlike the German studies, they conducted their final scan only four weeks after juggling practice ended. While they didn’t see any reversion of the changes in this time, it’s possible this would still occur after three months. The biological significance of white matter increase is harder to pin down, however it is thought to affect neural signalling speed and synchronization. The grey and white matter changes occurred independently of each other, and there was no strong relationship between either degree of change with level of juggling skill obtained. This supports the idea that structural change has more to do with time invested than absolute skill. So far we’ve only considered people who’ve juggled for a few weeks or months. What happens to the brain though after years of juggling practice? Do white and grey matter density increase even further? Or do they decline? Are the same brain regions recruited or novel ones? Both groups had the same total white and grey matter volume. Juggling most certainly does not make your brain bigger. As with earlier studies, jugglers had significantly higher grey matter density in the hMT/V5 and intraparietal sulcus. While these are the same areas that are increased in density in newly practising jugglers, the mechanisms might be different. For example, new jugglers’ brains might rely on rapid processes like increased blood flow or glial swelling, whereas long-term jugglers’ brains may have formed new synapses and vasculature. Expert jugglers also had greater grey matter in the lingual gyrus/V2 and left-hemisphere motor areas of BA 6 and BA 9. Cells in the V2 region process binocular disparity, thereby coding an object’s depth in space. This may come into play with more complex juggling tricks. Juggling skill was only correlated with grey matter density in the right hMT/V5 area, the same region identified in the original 2004 study. This is therefore the Almighty Juggling Patch of the brain. 5. Should we give a toss? We’ve gone on at length about the various brain structure changes that juggling causes, how persistent they are and to what degree they correlate with skill. But coming back to the original media claims, does any of it matter? Does learning to juggle make you smarter in any useful sense, or just make you better at juggling? Despite the widespread enthusiasm, unfortunately juggling is not special. If we look at the brains of people who’ve practised a different physical activity – say, being a world class gymnast – it turns their brains are just as altered. In fact, much more so. To change the structure of your brain, you don’t even have to practice a physical skill. Want to increase the white matter connectivity between your two hemispheres? Just learn Chinese! In fact, a skill doesn’t even need to have a shred of real-world usefulness for it to change your brain. You can increase grey matter density in your hippocampus, prefrontal cortex and cerebellum by – wait for it – playing Super Mario 64. Yes, Super Mario. However, the transferability of skills should not be underestimated. For example, in one study, juggling practice made participants better at a mental rotation task, providing direct evidence of a connection between a motor skill and spatial ability. Another study found that baseline grey matter volume in several areas (including V1, V2, V4 and precuneus) predicted the speed with which individuals could learn juggling. 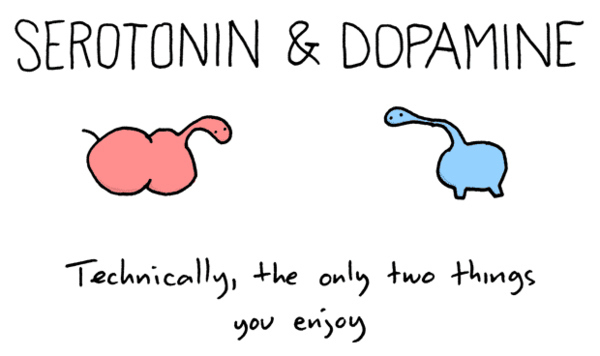 In summary, your brain is an ever-changing, electrically crackling ball of mystery and wonder. It is entirely possible to train it and re-shape it, and in fact you can’t stop doing this by merely living life. The catch though is that, at least at this point in time, it’s practically impossible to know what aptitudes you’re training when, or which regions are co-opted for seemingly unrelated tasks. So, juggling. It may not make your brain bigger, or more powerful, or protect you from Alzheimer’s. But it’s a fun, portable and surprisingly absorbing activity that will give you some exercise and yes, change your brain. But then, so will everything you do. Postscript: If you do decide to try out juggling (and you should! ), it turns out you really don’t need to spend long on it each day. A 2014 study took a bunch of juggling novices and divided them into high and low intensity groups, meaning they had to spend either 30 or 15 minutes per day practising. Both groups progressed at the same rate, after a month there was no difference in ability between the two, and after stopping they declined in ability at the same rate. A testament to the futility of cramming when it comes to learning, as we’ve discussed previously! 2003 Resnick et al – Longitudinal magnetic resonance imaging studies of older adults: a shrinking brain. I taught juggling in my elementary school physical education classes for almost 30 years and it proved to be a beneficial activity for all of my students!! I achieved a success rate of over 80% at juggling 3 scarves and over 25% at juggling 3 bean bags!! With 4th and 5th grade students, those percentages were much higher!! Thank you! I’ve been looking everywhere and this is by far the best article I’ve found on this subject. I would argue that some of the comparisons at the end are slightly unfair. Everything can change your brain yes, but not everything will change it in a positive way. Playing Super Mario 64 may seem silly, but it’s also a challenging and complex activity. I’m not surprised that it also brings some benefits. And I’m sure learning Chinese or becoming a world-class gymnast is even more beneficial, but I doubt that it can be done in just 6 weeks of fun 15 minutes a day practices. Unimportant side note: I wish I could have coached those 60 years old and see if I can turn that 25% success rate into 100%. I bet I could!